Ed Anderson, the creator of Survivor Z discusses the strategic disadvantage of accumulating too many inventory items in Survivor Z. To celebrate San Diego Comic Con Mongadillo Studio’s plans to re-release Joe Keatinge’s 2013 “Comic Con Z” challenge for Survivor Z for one week only. Survivor Z 3.0 update is live on the App Store and features clans and in game messaging! Survivor Z update will add clans, communication, and travel! Players can now write their own challenges using the zday writing tool. Help insure your iPhone survives with this custom lightweight case and get a free exclusive AK-47 weapon in game! NOTE: Be sure to include your player name in the "note" section of your payment screen. 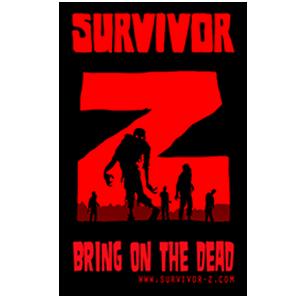 Show the world that you are ready for ZDAY in style with this amazing solid vinyl sticker. 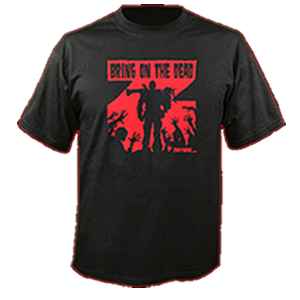 Show your support and show the world you’re prepared with this awesome one-of-a-kind T-Shirt design. Custom In-Game Avatar. 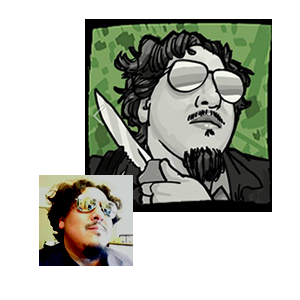 For a fee of $30 (USD), your likeness can be made into an in-game Avatar, hand drawn by the artists at Survivor Z. 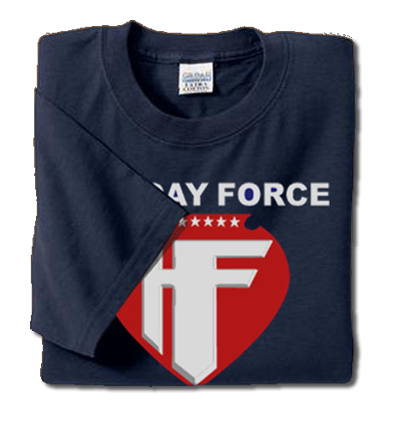 Holiday Force shirts, for the discerning collector. 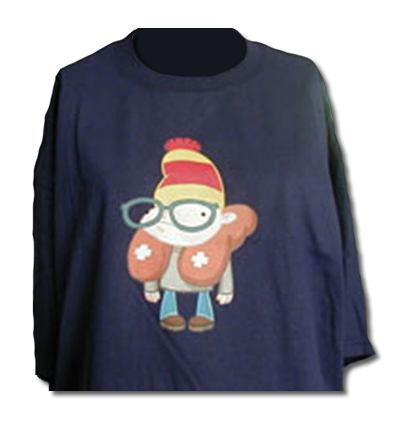 Hurry and get your very own Randy Shirt while supplies last. We welcome unsolicited submissions from writers and artists. In order to review fairly the large number of submissions that we receive, we are not always able to acknowledge their receipt. Should we decide that the submitted material is a good fit, we will contact you. To submit material, you can use our Contact Form. Looking for technical support? Our Forums are the best place for looking up issues and getting tips. Check out our forums below for more help with our gaming products.